By now, many students and staff are aware of the posters circulated around departments and on campus last week. The posters simply read, “It’s okay to be white.” It can be assumed the purpose they served was to provoke a response and it is apparent the group responsible for it has done a pretty decent job. It appears they are trying to promote white pride or a celebration of white culture. To understand why it is a backward concept and is interpreted as inflammatory, first the intricacies of colonization and oppression must be analyzed. When a culture actively experiences oppression, it is done with the express expectation of keeping the colonized people down — often characterized by perpetuating the belief that the colonized are subhuman — so the colonizers can stay on top and continue exploiting the land and colonized people as they see fit. When those in the colonized minority are believed to be animals, it becomes easier for the colonizing majority to treat them as such. Internalized oppression is a phenomenon observed alongside societal or systemic oppression and is developed as a result of societal or systemic oppression. Internalized oppression is the act of the oppressed individual internalizing the various myths and stereotypes they see about their culture and place in society, to the point where the oppressed believe them and think of themselves through the prism of the oppressor’s narrative. This creates a negative self-image, leading to the oppressed associating their culture and themselves with shame in place of pride. Generally, oppression — systemic or societal — can be combatted with responses in the form of revolutions or rebellions. Internalized oppression requires a different approach, as it can be used to tear down an individual’s self-worth or on a more significant level to divide the marginalized group. One effective way to heal from internalized oppression is learning how to celebrate your culture and replacing the shame you have been taught to feel with a sense of pride. For some, when minorities take pride in their culture it is perceived to be anti-white. Black history month, Indigenous history month, women’s history month and LGBTTQ* pride month are often criticized by the majority who question why they cannot have months celebrating their history. This response neglects the reasons why these initiatives started in the first place. These were intended to infuse the contributions and perspectives of minority groups into the dominant view of history, which focuses on the achievements and perspectives of the white majority. When the oppressed take pride in their cultural identity, it is done as an act of decolonization. It is intended to reject the racist narratives and internalized oppression constructed by the dominant culture. To point out the existence of racist narratives and work to rebuild the cultural pride suppressed by the dominant culture is not anti-white, it is decolonization. It can only viewed as anti-white if you believe working toward decolonization fundamentally attacks white identity. This is not to say white people should be ashamed of being white, but they should be self-aware. The reason why many minorities have a natural aversion to the concept of white pride is the only purpose it serves is to repress the actions minorities take when celebrating their pride. The dominant culture is celebrated everyday as we live our lives within the conditions and systems it constructed. A common defence of these posters is freedom of speech. Yet these posters are used by white supremacists as propaganda. If we can’t draw the line at racially motivated propaganda for limiting speech, it would seem we have lost the plot. It was not long ago mass genocide was committed and one of the many factors contributing to the atrocities was the use of propaganda. So, before jumping to freedom of speech, it could be useful to consider similar patterns that present themselves in history. 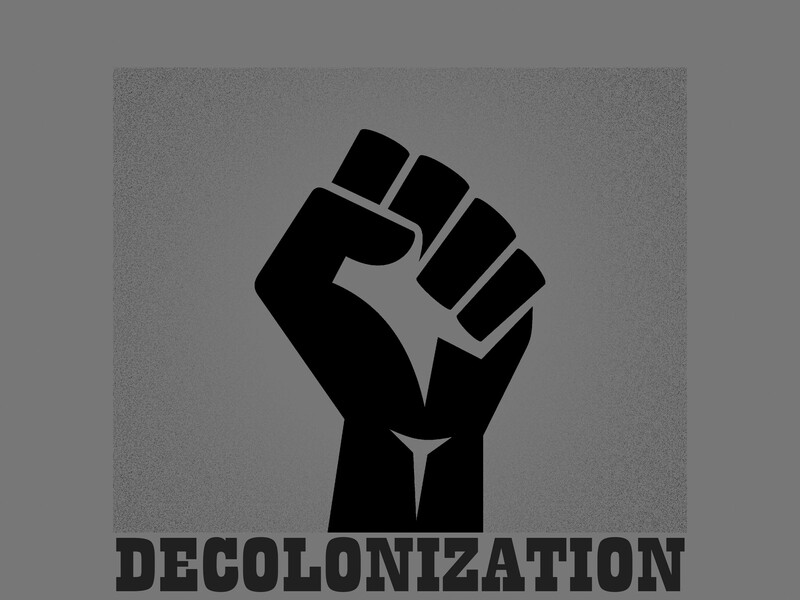 It is imperative to continue decolonizing our system, narratives and selves. It is not OK to use white supremacist propaganda on our campus.